It all started when Melissa decided to take Evan's hat from him when they were kids. They've both been showing horses since a young age, even competing against each other. 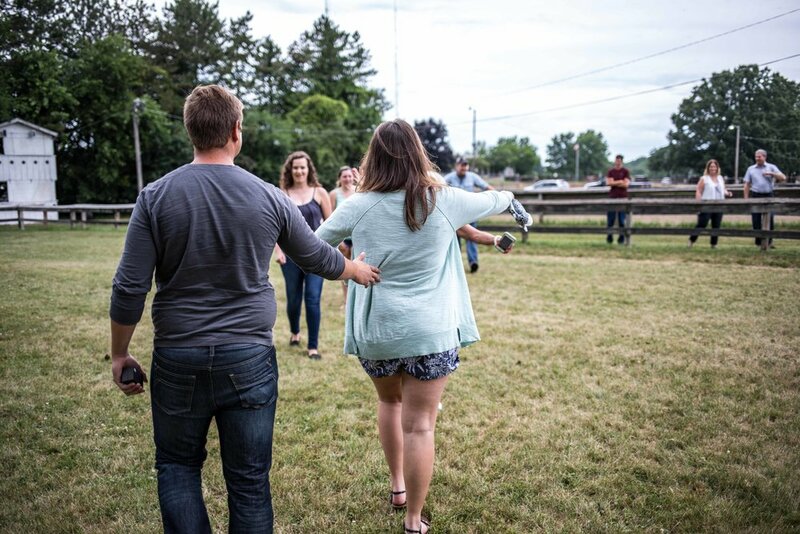 With so many memories at the Kalamazoo County Fairgrounds, it just made sense for that to be the special place where Evan would propose to Melissa. He lead her in blindfolded, got down on one knee in the middle of a heart made of flower pedals, and asked her to marry him. I'm so glad Evan asked me to be his photographer!